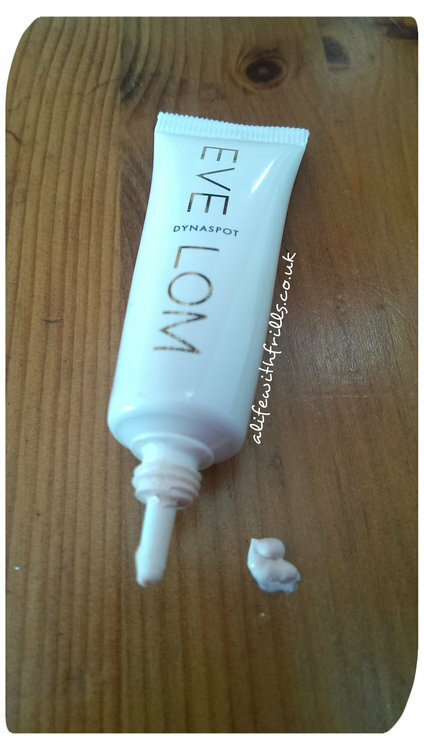 Eve Lom Dynaspot has been my go-to ‘spot killer’ for a few months now, and a permanent staple on my bedside cabinet. If I feel a spot coming, or one has appeared that day, I just pop some on top of it at bedtime, and by the morning it has dried up. 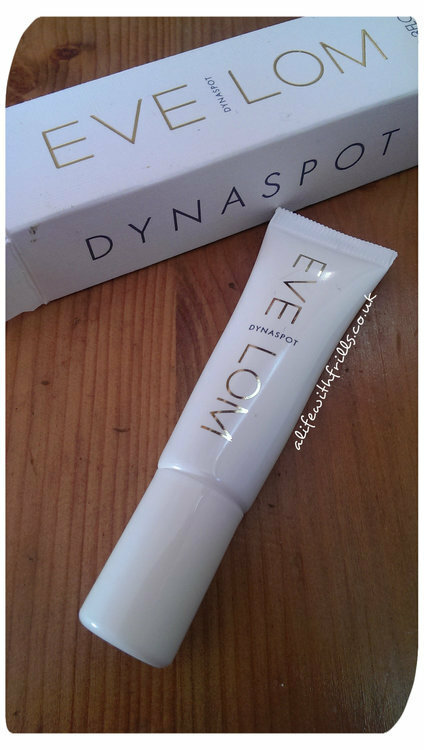 Eve Lom Dynaspot is a topical treatment that contains the anti-bacterial Tea Tree and the fast-drying Salicylic Acid. It also has Chamomile to soothe, Fennel to remove toxins and quicken skin recovery and Yarrow extracts to calm inflamed skin- all powerful ingredients in combating dreaded spots. It can be worn during the day too, either under or over make-up (as it has a universal skin tone tint). I can’t recommend this product highly enough. 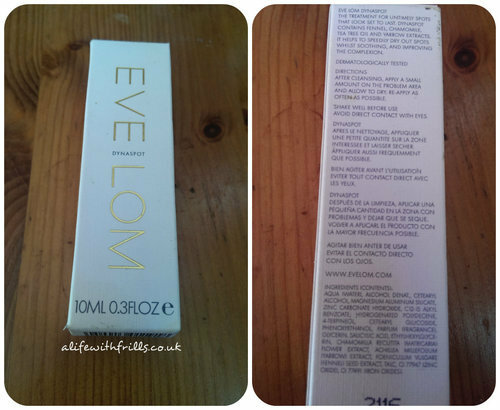 It works wonders fast, and is even in a handy handbag-sized tube.